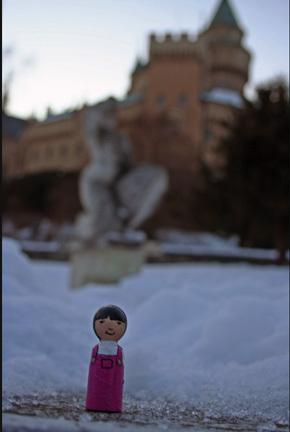 Here Pocket Pacy is in front of the Bojnice Castle in Slovakia. Does she look a little cold to you? She also had plenty to eat! 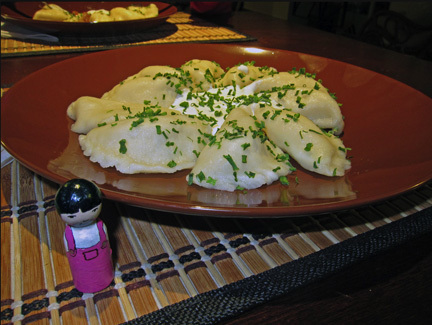 Pocket Pacy and pierogies! 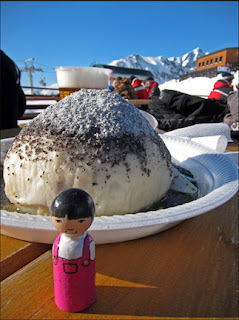 And then she went skiing. Do you think she went skiing on this mammoth Slovak blueberry dumpling or the mountains in the background? I'm guessing the dumpling, personally. But I'm sure she had a wonderful time! I'm jealous!